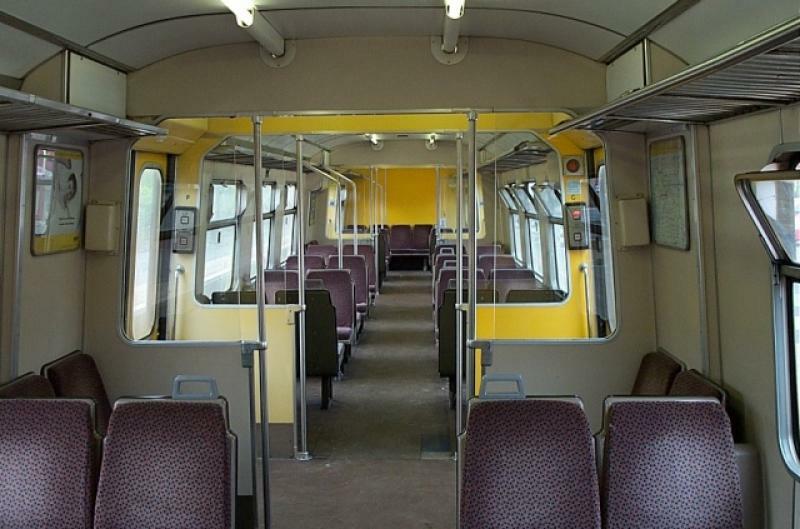 Ninety-one of these 3-car trains were built by Pressed Steel at Linwood from 1959-1960. The original livery of 'Caledonian blue' with yellow and black lining and grey roofs, gave these distincive trains their nickname. 50 units were refurbished at Glasgow Works between 1984-87 with new interiors. 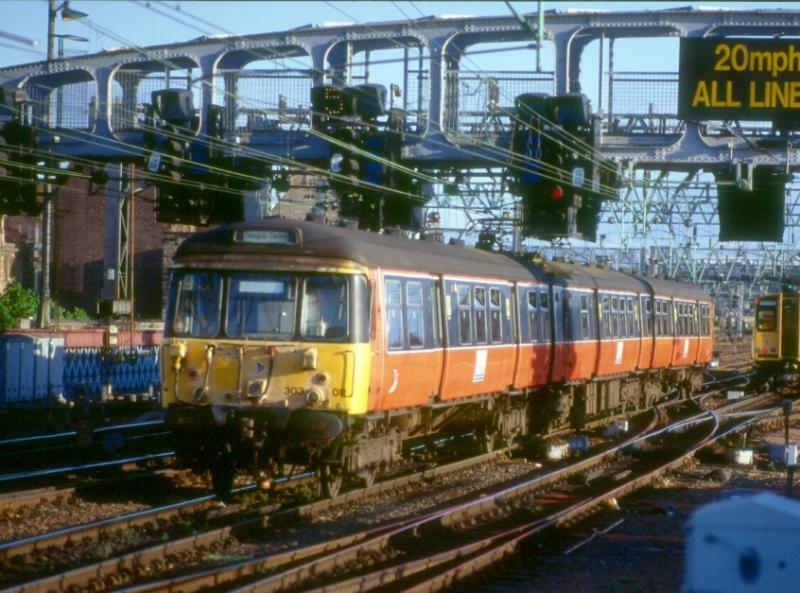 The remaining unrefurbished units were replaced by new Class 320 units, and were withdrawn from service by November 1990. One unrefurbished unit, 303048, was restored to original blue livery in March 1991, and was used on special duties for a number of years. However it was scrapped in 1998. By the late 90s, there were only 40 units left in service, and eventually they were withdrawn once the class 334s became more reliable. The last units in service were 303011+303088 working the 09:27 Bellgrove - Helensburgh on 30 December 2002. Only 303032 survives and is based at the Bo'ness & Kinneil Railway where it operates in push pull mode with a diesel loco. Created by e37405 and last modified by zoyce at 19:38, 26 of November 2007.